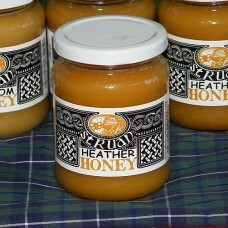 Struan Apiaries produce this honey less than 3 miles from our doorstep. 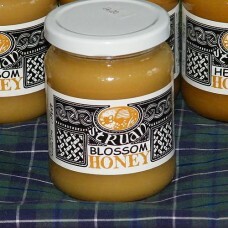 They have bee hives throughout the Highlands and gather the honey in specific areas to get the heather honey and blossom honey variations. The business is booming due to the ever growing health benefits of honey and honey products and we have to say they produce the best we have tried.